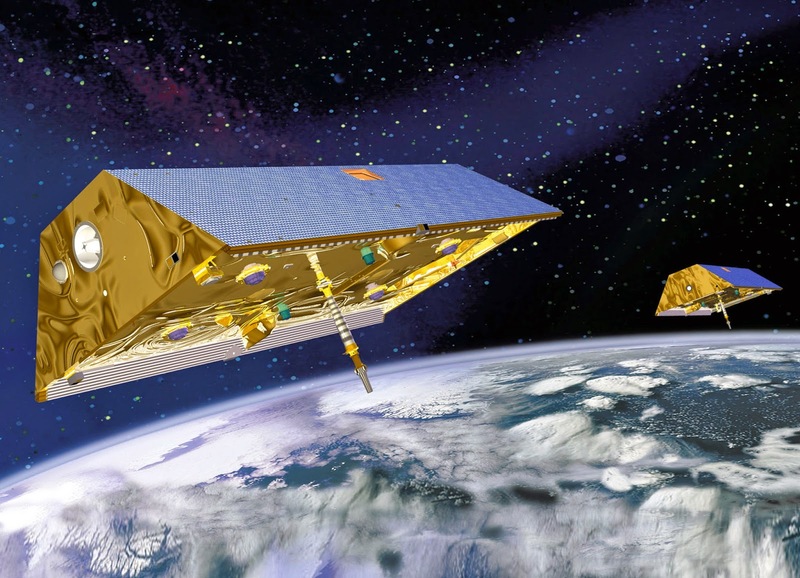 In 2002, the twin satellites that make up the Gravity Recovery and Climate Experiment mission, or GRACE, were deployed to measure Earth’s gravity field in unprecedented detail. Thirteen years later, GRACE is nearing the end of its mission lifetime, and a successor, GRACE Follow-On, is set to launch in 2017 and continue the experiment. What makes these missions so good at measuring tiny fluctuations in Earth’s gravity? To find out, we caught up with Hui Ying Wen, Deputy Manager of the Science Data System for GRACE Follow-On, and Carmen Boening, a Project Scientist for GRACE. Any orbiting body will be pushed and pulled by slight changes in the local gravity field, and if these accelerations can be measured and localized, the underlying mass distribution responsible for the gravity anomalies can be recovered. “It’s backwards detective work,” says Wen, and in principle, any cable satellite is capable of serving as a gravity detector. GRACE is just better equipped than most. The two satellites chase one another in the same orbit, each one sending a continuous beam of microwaves to the other. As slight variations in the gravity field cause the leading spacecraft to speed up or slow down, the separation distance between the two satellites changes a little bit and the phase of the microwave radiation shifts. By tracking these phase differences, GRACE can detect changes in the separation difference on the order of ten microns -- a tenth the width of a human hair -- and the global gravity field can be teased out of the data. GRACE makes a new gravity map every month, so that changes can be compared to the geoid, the background gravity field that changes on much longer timescales than months and years. After accounting for solid earth mass signals, like those caused by tectonic plates colliding and post-glacial rebound, climate scientists like Boening can see how water is traded around the Earth in natural cycles and long-term trends. Combined with measurements of sea surface height and temperature, bulk water mass can be converted to an equivalent water height, and GRACE data shows a clear trend in sea level rise since its launch in 2002. 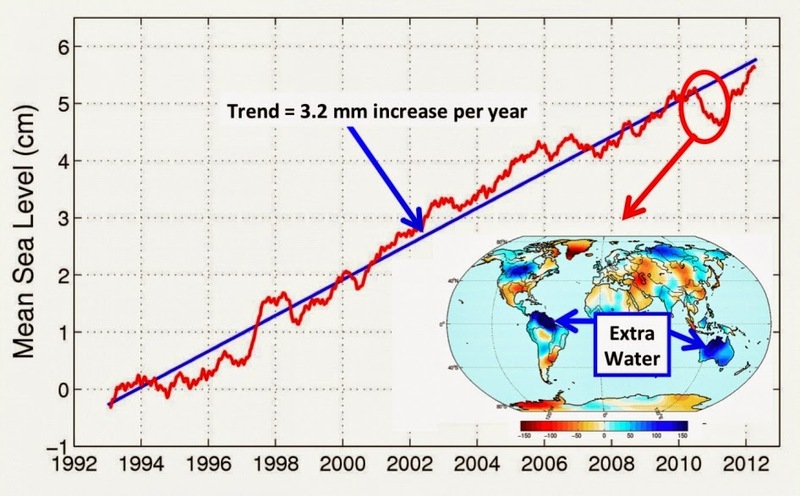 In 2010, a sudden drop in sea level seemed to contradict this rising trend, but Boening and colleagues were able to track down the missing water using GRACE. Natural variability, in the form of an especially strong La Niña event, had changed the balance of evaporation and precipitation over the oceans and continents, and abundant rainfall over Australia and South America took time to return to the oceans. Sea level is still rising, but thanks to GRACE and GRACE Follow-On, we are more prepared than ever to read the subtle signatures of change embedded in Earth’s gravity field and keep an eye on climate change.